Some pundits would have you believe that surveys are dead, that they are no longer important for customer listening and understanding. Yes, there are several other ways in which companies can listen to customers and learn how well they’re delivering on the experience, but surveys aren’t going anywhere. The good news is that companies are listening through surveys. The bad news is, they’re often doing nothing with the feedback. Since I’ve already focused on the action part in a previous post, I’ll focus todays post on the listening and understanding part; specifically, I’ll focus on designing surveys to which people will want to respond. Despite the fact that getting people to respond to your surveys is harder today than it’s ever been, many of the same general design principles from years ago still apply. The major differences today really have to do with simplification. 1. Open your customer survey with a brief introduction paragraph, stating your objective (in customer-friendly terms) and purpose, as well as any specifics on how the feedback will be used. Respondents want to know why you’re conducting this survey and what you’re doing with their responses. Don’t set expectations about actions and follow-up here that you won’t be able to execute on. And give an honest assessment of how long the survey will take to complete. 2. Think about survey/question flow. Start with questions that warm up the respondent to the topic or experience. As you dive into the survey, put questions in a natural, logical flow and in sections rather than jumping around in some illogical sequence. 3. Be mindful of survey length. Transactional surveys can be brief, i.e., 10-15 questions max, whereas relationship surveys can be a bit longer, i.e., 50 questions (albeit respondents see only those questions relevant to them, in essence making the survey shorter). Depending on the relationship with the customer and the experience being evaluated, length could vary. 4. Use attribute grids to logically (questions that belong together) group questions with the same rating scales. 5. Use realistic progress meters to let respondents know where they are and how much longer. 6. Ask a mix of closed-ended and open-ended questions. It isnt necessary to ask an open-ended question after every closed-ended question, e.g., every rating question. Limit the number of open-ends, but make sure you have at least one. 7. Don’t ask the customer questions about things you already know about him, e.g., last purchase date, product purchased, date of support call, reason for call, etc. 8. Only ask questions that are relevant to that customer and his/her experience, i.e., dont ask about a product the customer doesn’t own or about marketing materials in a support survey. 9. Don’t allow other groups or departments to commandeer the survey by adding questions that are not relevant to the survey objective. 10. Use smart survey techniques to skip questions not relevant to the individual respondent based on responses to previous questions. 11. Don’t use company or industry lingo/language that your customers don’t know or understand. 12. If your survey is going out to a global audience, be sure to offer respondents the option to take the survey in their preferred languages. 13. Set the incentives aside. The best incentive (and indicator that she’ll continue to respond to surveys) is to thank the customer for her feedback, use it to make improvements, and let her know what you did with it. If she comes back and keeps experiencing the same issues, you won’t have to worry about survey responses; youll have to worry about keeping the doors open, instead. 14. Design the survey with mobile in mind; optimise for mobile, since 30-40% of surveys are completed via mobile devices. 15. Test your customer surveys often  make sure your surveys work  on all devices, all browsers; nothing kills your response and completion rates like messed up surveys. 16. Similarly, spell check and grammar check your surveys. Surveys filled with typos are a turn-off, too. 17. If you’re administering a post-transaction survey via a URL on the receipt or packing slip, make the URL easy to enter online. 18. Use carefully-crafted email invitations to invite customers to participate. Ensure the emails get delivered by using the right words and avoiding others (e.g., free, win, survey, etc.) to stay out of spam filters. 19. Send a reminder 7 days after the original invitation. Send just one reminder. 20. Keep survey frequency in check. Customers are inundated with surveys from every website, retailer, service provider, restaurant, grocery store, etc. that they visit. Dont over-survey any one customer. 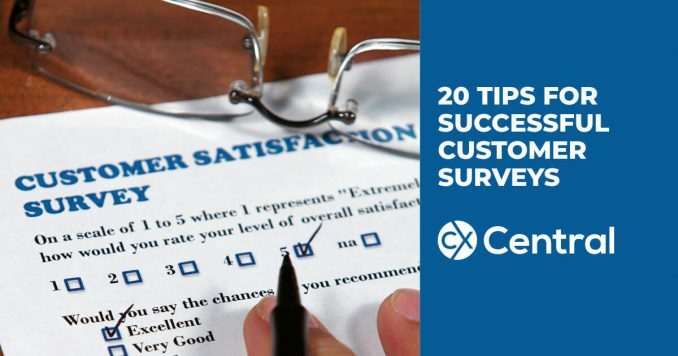 Remember that customer surveys are one of your customer touch points, as well. So make sure your surveys deliver a great experience, too. Dont give your customers yet another excuse to roll their eyes and wish they hadnt wasted time with you. Customer surveys are as important to your listening and understanding efforts as ever. Find suppliers who can help you with customer experience including consultants, Voice of the Customer tools, technology and more in our Business Directory. 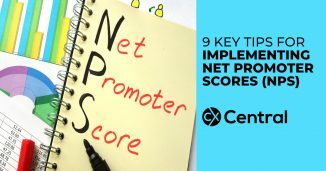 If you are using, or thinking of implementing NPS (Net Promoter Scores) we share 9 recommendations for implementing NPS Into your business to measure (and improve) the customer experience. 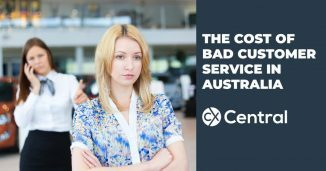 What is bad customer service costing your organisation? According to the latest research Australian businesses lose over 122 Billion dollars by not providing a great customer experience. Thankfully there is one simple solution to help improve your customer service that is free to implement and costs nothing to purchase.